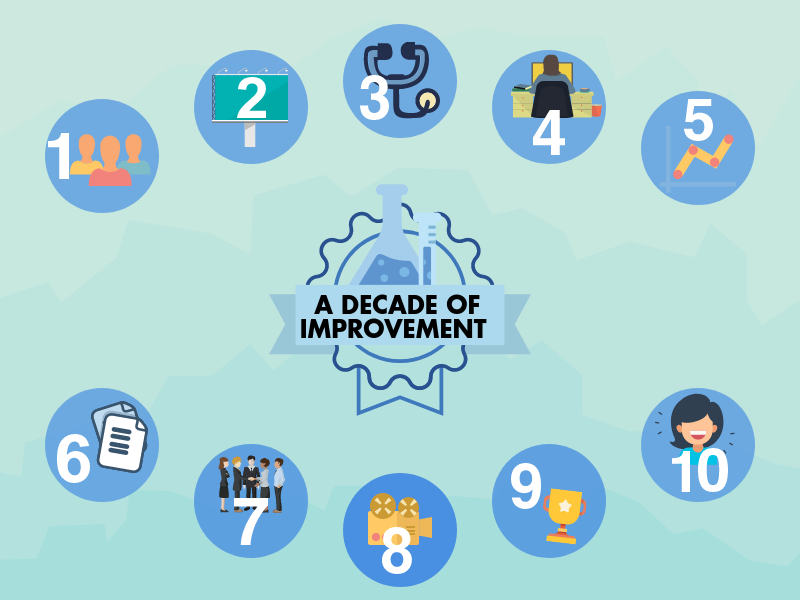 Celebrating a decade of improvement, Director of NHS Quest, Katharine Goldthorpe refelcts on the past ten years of personal her improvement journey and has top ten lessons. When I first developed an interest in improvement, I learned the core principles, which I still refer to daily more than a decade later, but it is more recently, since at Haelo and NHS Quest that I have been able to take the principles of improvement science to a new level. If you’re not sure what needs to change, or where to start, ask a patient or family member. Include them in your project every step of the way and you will have a much greater chance of success. Their stories will create the burning platform you need to drive change. This is something we’re really proud of at our Project Management Office, find out how Haelo does it. I undertook a study to examine different models for delivering improvement and one of the key outcomes for was the value of an executive sponsor. The projects I have been involved in thrive when the sponsor attends regular meetings with the project team at the very least once a month. This connects the executive to the front line (involve your patients! ), helps unblock any problems and holds your team to account. They are also great at promoting the work you do and unlocking gateways to spread across your organisation or system. My first improvement project would not have succeeded without an incredibly enthusiastic Clinical Lead! She was exposed to the improvement methodology and it opened her eyes to the possibilities. Do whatever you can to get those clinicians on board, even if they seem cynical at first. Send them the latest thinking, connect them to other clinicians who are using the methodology and they will lead the way. It’s not just about the most senior people .I’ve found engaging the very front line staff, Ward Administrators, Clinic Receptionists, Booking Clerks, Health Care Assistants and others is a brilliant way to understand systems, get things done and gives them an opportunity to develop. If you’re not using data to drive the improvement, you’re not using the methodology properly. It took me a while to really understand this and, being an operational manager, I just wanted to get things done and make system changes quickly. To really understand whether the change you are making is an improvement, it’s essential to have a baseline and understand what the data is really telling you. I was introduced to Statistical Process Control charts early on in my journey and this revolutionised my practice. When I look at any improvement project now, I’m always looking for the charts! Because Plan Do Study Act (PDSA) cycles are small and rapid, it is likely that there will be lots of them. The best improvement projects I have been involved in have lots of different tests of change, sometimes many on the same day. Recording each PDSA captures knowledge and allows you to pinpoint key changes to your data. This is crucial if you want to sustain your improvement and share it with others. In 2006 I was fortunate enough to attend the IHI National Forum Quality Improvement in Health Care. There I met Maxine Power, former CEO of Haelo, she was a fellow northerner (not many of those in the USA!) and an IHI Fellow. I was inspired by her improvement journey and the work she was doing in Salford, she seemed like someone I could learn from and when I got home I continued to follow her journey. A few years later when I became the Head of Quality, Safety & Transformation at Great Ormond Street Children’s Hospital, I boldly contacted her and asked if she would mentor me and she agreed. Maxine has a fantastic way of cutting through your problems and helping you come up with ideas that are simple yet innovative. I worked for Maxine for nearly three years at Haelo and none of that would’ve happened if I hadn’t made that call. One of the things Maxine encourages the Haelo team to do is to keep up to date with the latest thinking in improvement, healthcare and beyond. Using film and digital media to learn and share is something I have had greater exposure to at Haelo and the importance cannot be underestimated. It is likely that you are reading this now on your phone or device and will be flicking between this and your social media accounts. Maxine has taught me the importance of using film to connect and this is something that transformed the way I work with teams. Sharing your improvement work is so important and making a film has never been easier. Before I worked at NHS Quest and Haelo, I was ticking all the improvement boxes and following the methodology and hopefully doing a great job. Working at Haelo has taught me to take things to the next level and super-charge my improvement journey! When we run events, teach or facilitate, we think about what people will expect and then we ask ourselves “how can we exceed those expectations?”. Being part of Haelo Hosts has been one of the greatest learning experiences of my career and demonstrated how pushing the boundaries can really shift thinking and take improvement to another level. In a world of targets and financial pressures, improvement can bring joy at work and because the methodology starts with small tests of change, anyone can have fun trying different ideas. I have worked in the NHS for 21 years and for half of those have been an improvement journey. To condense my learning into ten points is a real challenge and these are just the highlights. 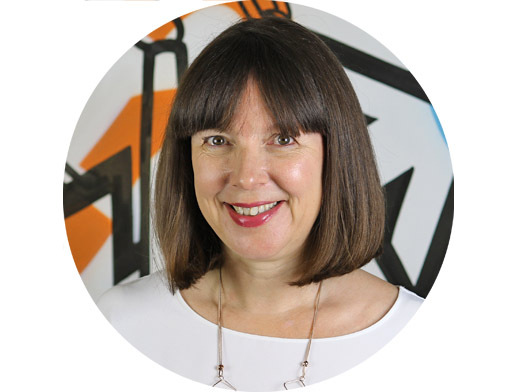 Maxine has recently shared her vision for Improvement 2.0, with a focus on social network theory, new ways to make your data sing, the latest thinking on systems and the use of film for improvement. With this at the forefront of my mind, I will continue to try different ways to tackle the challenges as we move into the next phase of Haelo.